One of the biggest celebrations of Jewish learning and culture in the world – the perfect jigsaw made by you, by us, and by the other 2499 people who will also be there. 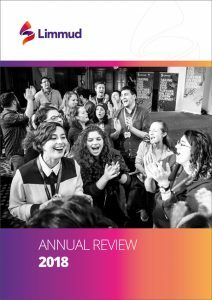 It is a great pleasure to be able to share with you this year’s report of Limmud’s activities round the world. We have had another strong year and continue to grow and develop worldwide. Be in the know. As we work on programming for Festival 2019, read about last year’s programme. Watch this space for information to be announced later in the year about Fesitval 2019. 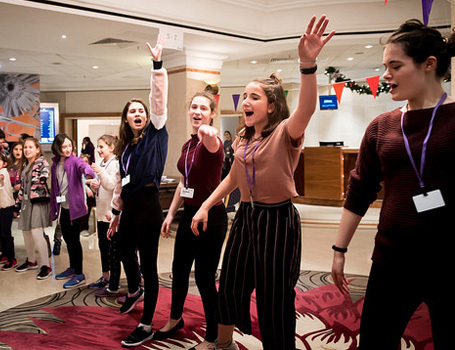 Regional and national Limmud events happen across the UK all year round, ranging from day events to our flagship week-long Limmud Festival. Limmud volunteers collectively were named one of the top ten most influential "people" in the UK Jewish community by the Jewish Chronicle. Download chavruta learning resources here. 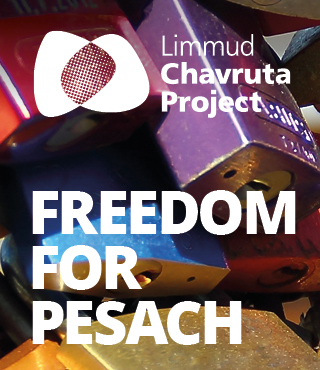 A resource for Pesach on the theme of Freedom is available in English and French and Russian and Spanish. There are many ways to participate in Limmud from attending an event, to volunteering, to creating an new Limmud community. Limmud’s mission is informed by 10 founding values. Every week Limmud On One Leg brings Limmudniks a chance to learn from some of the most exciting and innovative Jewish educators from around the world, through a thought on the weekly parasha [Torah reading] from educators who have been presenters at Limmud events throughout the world, together with alternative voices sharing a thought on the themes raised by the parasha. Limmud is igniting Jewish conversations, including about Israel, in over 80 communities and 40 countries on six continents. For The Jewish Agency for Israel, Limmud is a valued partner in these efforts. There should be a Limmud in every country where there are Jews. An Unparalleled Jewish experience, it’s unbelievable. It’s an opportunity to work with passionate, committed people. It’s an opportunity to create the community we want to be part of. It remains one of the most important things happening out there. Unlike other organizations, when you volunteer with Limmud you really have a chance to have an impact on others and on the community, to try new things and to lead. At Limmud, leadership is not about connections or money it’s about rolling up your sleeves and getting the work done. Limmud provides both a pathway for its volunteers to experience and embrace Jewish community. The Limmud phenomenon serves as a light that illuminates the potential of Jewish learning for Jewish engagement at its finest. It has put me in closer touch with the younger generation and made connections and friendships that still generate personal and professional Jewish activities and enrich Jewish life. Taking You One Step Further On Your Jewish Journey.